Gold is among the earliest types of metals to be extracted and used. It’s brilliant yellow color has been valued for thousands of years and primary uses of gold were for ornamental arts and jewelry. In ancient civilizations all around the world, it was the wealthiest members of society who were adorned with the precious metal. Its name originated from an old English word that was used to refer to the color yellow, ‘geolu’. Gold was used by craft persons of ancient civilization to make not only wearable jewelry items, but also for embellishing temples, tombs, ornaments for their kings and in making idols. Gold has been linked to immortality, gods, wealth and rulers in various cultures worldwide. It has a worldwide recognition as the most valuable metal, a belief that has remained for millennia and continues today. There is a universal recognition of gold’s value. Gold’s natural alloy known as electron was used to make jewels by Egyptians since 5000 BC. Chains made of gold were produced for the first time in a city known as Ur in 2500 BC. The Minoan civilization on the island of Crete are believed to have produced very first cable chain jewelry. Gold was used by the Romans as a setting for precious gemstones. The uses for the precious metal in ancient cultures were nearly endless. They included crowns, symbolic status, votive offerings, scepters and libation vessels. To be able to show one’s status after their death, gold items were buried by the deceased. The Inca civilization found in Peru believed that gold was the sweat of Inti (the Sun God) and because of this belief gold was used in manufacturing of all sorts of religious items like sun disks and masks. In Colombia, gold was used in extravagant coronation ceremonies in covering the body of the future king by using powdered gold. This created the legend of El Dorado. 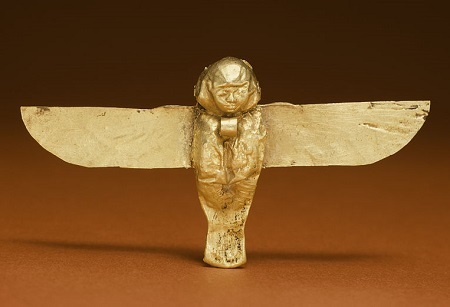 Gold was also used as a decorative covering for various objects in Egypt. Egyptians used gold plate and leaf in decorating shrines, tombs, ornamental weapons, ceramics, statues, glassware and jewels. 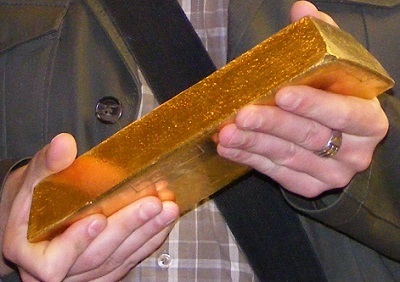 Gold has also been used as a standard for currencies all over the world. Many ancient cultures used pure and alloyed gold coins as a medium of currency. In the contemporary society, gold is used by individuals for various activities. It has a variety of special properties making it to be a very useful metal. Some of these properties include; conducting electricity extremely well, a remarkable and universally recognized color, brilliant luster, and its inability to tarnish. Gold is very simple to work with, and can be hammered into sheets and even small wires. It is extremely soft and malleable, and can be alloyed with various metals to increase hardness and change its colors. Gold can be melted and cast into very detailed shapes. The special properties of gold have allowed it to be used for various ornamental objects in the past and still today. The early use of gold for ornamental purposes has remained today. The main use of gold since ancient days has been making jewelry, but approximately 75% of gold that is used now is still used in making of jewelry because of its beauty. Today, jewelers use gold to make necklaces, rings, earrings and bracelets, and pendants. In countries such as India gold is used to adorn the body, their belief is that by doing this they attract wealth and blessings. India is the largest user of gold for jewelry today. Gold has been and is still used as a valuable currency due to the fact that it is highly priced and its rarity makes even small pieces of gold valuable. And because of its universal recognition and value, it is very easy to liquidate gold to cash. There are various means to invest in gold such as gold IRA, gold coins, gold bullion and gold bars. Mineral collectors often keep gold in its natural form as nuggets, dust, and specimens. A small, but growing amount of gold is used in making electronic devices. This is because gold is a very effective conductor that is capable of carrying very small electrical charges. Some examples of electronic devices that contain small amounts of gold include cell phones, GPS units, televisions, and various computers, tablets, and other new forms of electronics. Gold has also proved to be useful in the field of medicine. Gold has been used by for centuries to repair broken teeth with filling and also replacing missing teeth. Gold is also essential in the Aerospace industry. It is used in lubricating mechanical parts, conducting electricity, and coating of space vehicles so as to protect individuals inside from heat and infrared radiation. There are literally thousands of electronic applications that gold can be used for, and as our technology advances in the future it is very likely that the demand will rise. The combination of increasing cost of production from gold mines, as well as the increased wealth of many emerging countries ensures that the demand for gold will remain for the near and distant future alike. 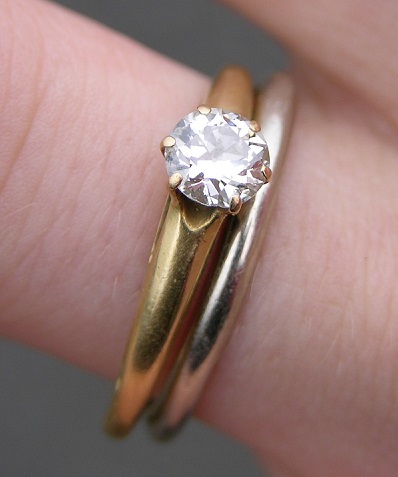 As new cultures increase their wealth, there is an ever growing demand for the precious metal. It is expected that the value of the metal will remain very high for the foreseeable future. Also Read: How does Gold Form?